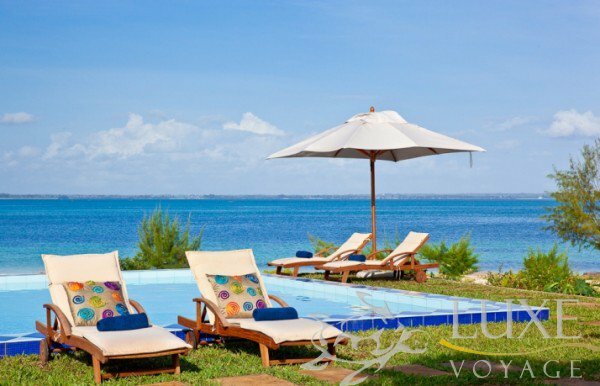 Kono Kono is a sanctuary for those in search of tranquility…a place to enlighten the senses and experience the very best of the Island of Zanzibar, good an hour away from the Zanzibar international airport. 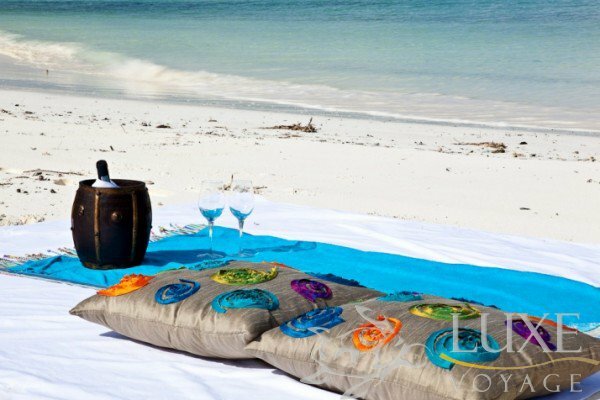 Zanzibar, the magical Island where the fusion of Arab, African and European cultures has created a pace of life, a style of cuisine and a colorful tapestry of architecture , heritage, myth and magic that is found nowhere else in the world. This collection of 24 beautifully designed villas offers luxurious comforts and amenities with personal attention throughout your stay. 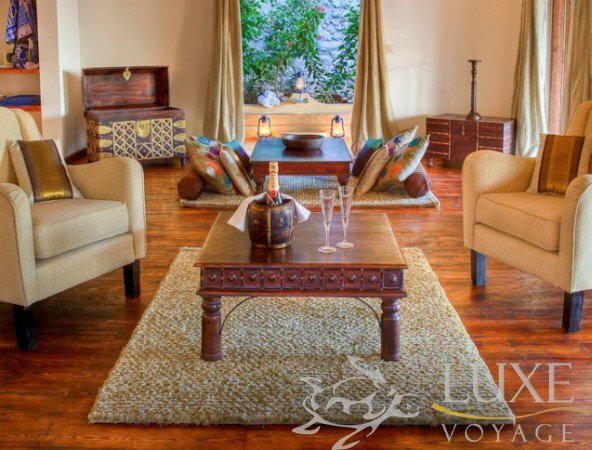 Each villa features a sophisticated interior composition of hand carved furniture and beautiful fabrics, and the decor is a unique marriage of colonial grandeur and traditional design. 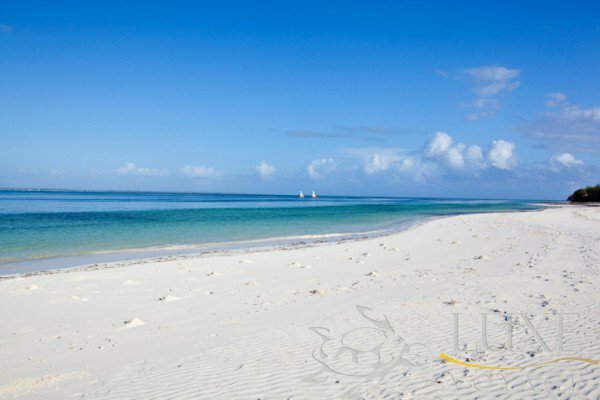 Kono Kono is an oasis…where rustling coconut palms, white powder sand and the warm waves of the Indian Ocean combine to create a stunning recluse for the discerning traveler. Nestled between tropical gardens and a white sandy beach, Kono Kono provides a range of beautifully appointed facilities refecting the warmth and character of the local architecture in an elegant yet relaxed setting. 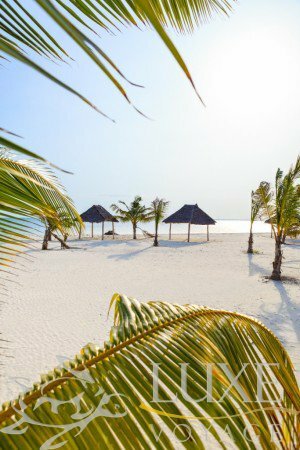 Overlooking the beach, private palm thatched “bandas” shelter private day beds and sun loungers to provide intimate beachfront privacy. 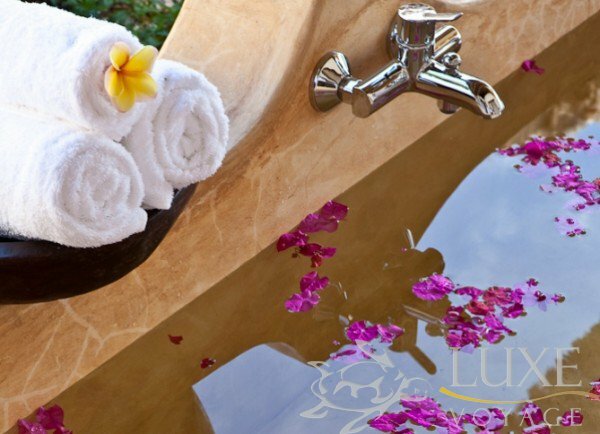 The Palms also features the private Sanctuary Spa in a beautiful ocean front setting. Guests at The Palms can also use the neighboring Frangipani Spa, which offers world-class treatments and facilities. 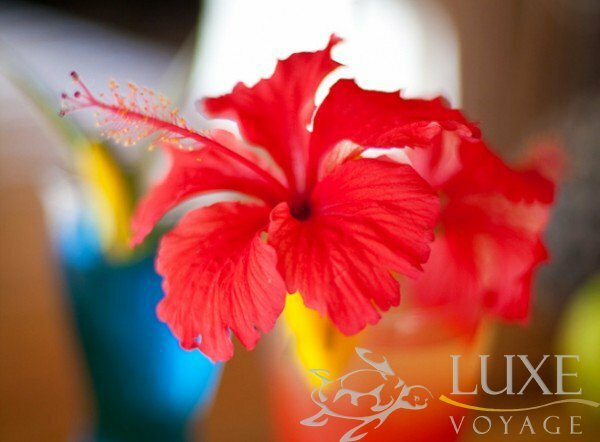 - Massage & Selected Treatments at “Jungle SPA”. 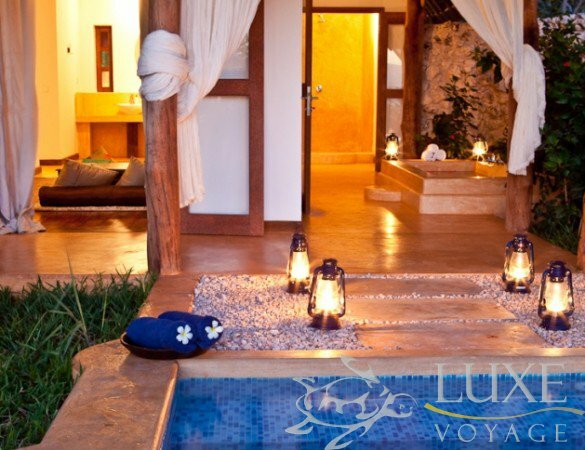 In this beautiful jungle garden setting, refecting a sophisticated Swahili style enhanced with candlelight and spice scented aromas, you can enjoy a variety of treatments and therapies, all aimed at relieving the negative impacts of a modern lifestyle such as stress & exhaustion. Our international team of professional therapists offers a wide variety of facial, body and hand & foot treatments, as well as specialized massage techniques. With our therapists from Thailand and Bali, you can experience the invigorating Thai massage and the renowned Balinese Massage. 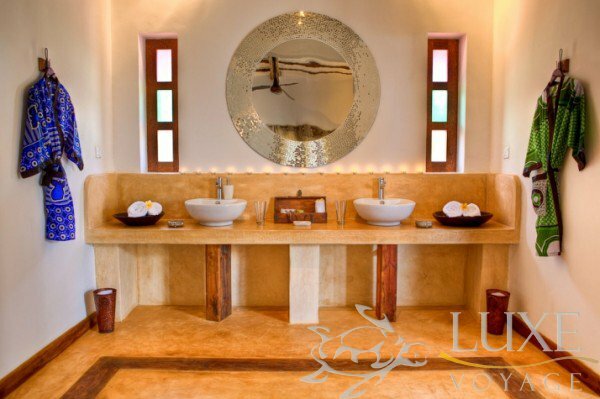 The Jungle Spa also offers “The Kili Foot Treatment” and “Après Safari Treatment ©” which are specially designed packages by our experts to soothe and rejuvenate after the dust and bumpy roads of the African Bush. 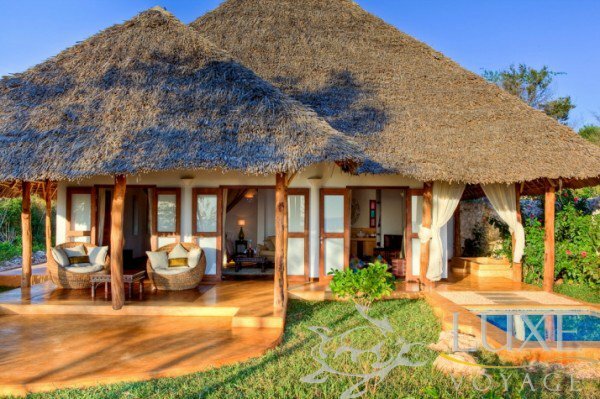 An excellent option for those who are looking to recover after an adventure flled safari. We welcome you to experience the Spa designed to stimulate your senses and to create a complete relaxation of body & mind. Welcome to Rising Sun Dive Center. 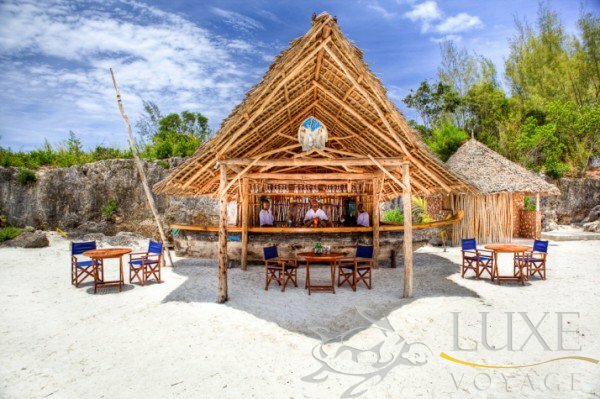 The only PADI 5* Gold Palm and National Geographic Dive Center in Zanzibar. Located on the untouched South East coast of the island, our dive center was the frst to discover this unexplored region. 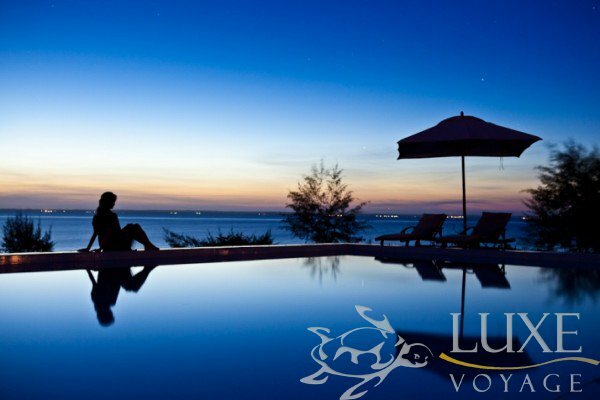 With over 12 years experience we offer you the highest levels of customer care and attention whilst encouraging you to conserve and explore the marine environment. We take divers from complete beginners up to professional level and have a massive variety of diving guaranteeing something for everyone. With our small groups of a maximum of 6 divers per guide we are able to offer you the chance to escape the large crowds and get the most from your dives. Each villa features a sophisticated interior composition in all colors of coffee and cream where flmy caramel colored curtains billow, and the decor is a unique marriage of colonial grandeur and traditional design. 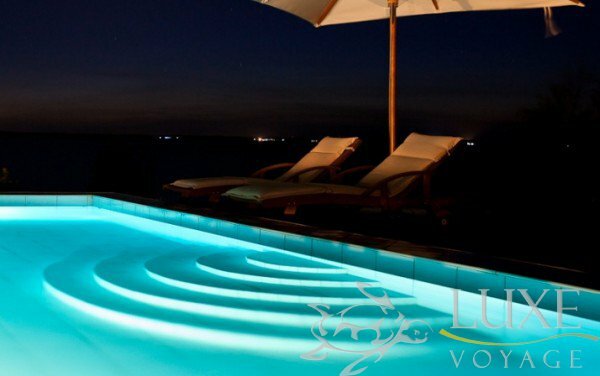 On the veranda, midnight blue plunge pool with long views of the Indian Ocean. 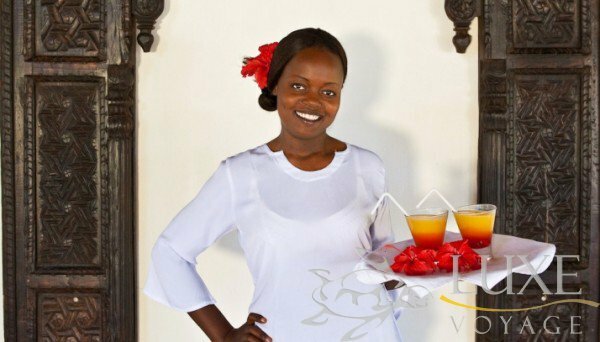 A fusion of cultures in Zanzibar has resulted in a unique cuisine, which blends exotic spices, fruits and favors of the island. 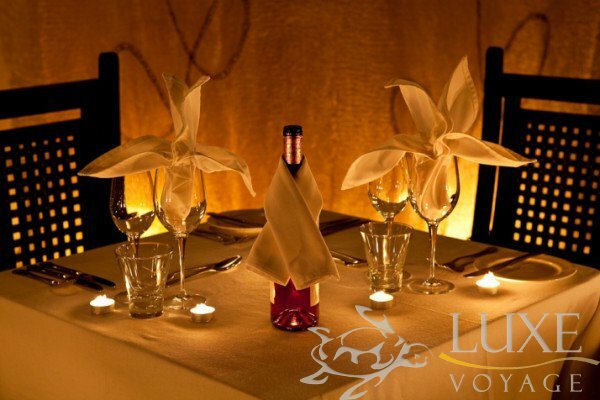 Our chefs have an exotic menu fusing just caught with fresh picked for a wonderful dining experience. The elegant colonnaded terrace of The Plantation House leads into the Spice inspired bar, onto the antique-elegant dining room where fabrics change daily from rust colored silks to crisp white linens.